A combination of Sport Chek & Atmosphere, we are Canada's largest national sporting goods retailer. Shop the top brand apparel, footwear, outerwear, bikes, inline skates, skis, snowboards, fitness equipment, sports gear and more to outfit your outdoor lifestyle. 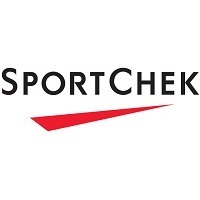 Visit Sport Chek|Atmosphere today at London's premier shopping destination, CF Masonville Place.